Peak season for Permanent Change of Station begins May 15 and runs through Aug 31, with the busiest weeks being May 15 through July 4. Soldiers, civilians and families should avoid moving around the holidays and during the last week of May and June, if possible. Avoiding this timeframe will help prevent late pick-ups and changes to deliveries. Photo by Tyler Gourley. WASHINGTON — Up to 60,000 household goods shipments for Soldiers, civilians and family members are expected to be moved this summer, and U.S. Army Logistics, HQDA G-4, is providing some tips to help make your move less stressful. Peak season for Permanent Change of Station begins May 15 and runs through Aug 31, with the busiest weeks being May 15 through July 4. Soldiers, civilians and families should avoid moving around the holidays and during the last week of May and June, if possible. Avoiding this time frame will help prevent late pick-ups and changes to deliveries. Advanced planning and preparation is key to a successful move. Upon receipt of orders, Soldiers should immediately create an account or login into Defense Personal Property System, via www.move.mil, upload orders and complete all shipment applications for the move. The next step is to contact or visit the transportation office to ensure all preparatory steps were successful. By getting to the transportation office quickly, customers will have a better chance of scheduling the move convenient for them. Scheduling movers is done on a first come, first serve basis and during the peak season, there may be limited availability of packing and shipping dates. After logging in or creating an account, service members can view customer satisfaction scores for moving companies. Refrain from scheduling other activities during moving days, as the packing and moving process can take the entire day. Make it your priority. Monitor how packers and movers are performing. If you have a question, call the transportation office. The Army is working to improve the HHG movement process by increasing the number of quality assurance inspections. Save the contact information for the moving company and quality assurance inspectors. Obtain a copy of the inventory and make sure to identify and annotate high-value items. A 24/7 Transportation Command toll free hotline will be operational and published in May for Soldier and family HHG problem resolution. Additional information and detailed tips can be found in “It’s Your Move” located at www.move.mil. After a Soldier’s shipment arrives at destination they are authorized short term storage for 90 days. Short term storage provides enough time to secure a new home. If necessary, a Soldier can request an additional 90 days through the transportation office. Long-term storage is authorized for overseas tours, retirement or separations, and training courses that are longer than 20 weeks. In some cases single Soldiers and dual military couples can use long-term storage during a deployment. If conducting a first PCS move, moving to or from a foreign country, or making a final retirement or separation move, Soldiers must schedule a counseling appointment with the transportation office to review entitlements. 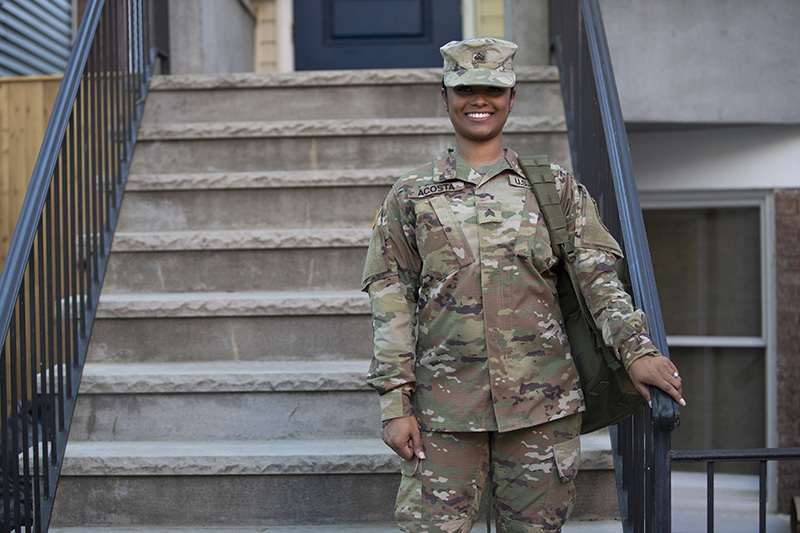 The moving process begins with orders, which identifies a Soldier’s entitlements based on their rank, dependent status, basic information on their tour, and restrictions on what can be brought to the next duty station. Rank, dependent status, and sometimes location determine a Soldier’s weight allowance. Soldiers are responsible for staying within that weight allowance. If the shipment weight is close to their weight allowance, the Soldier, can request a reweigh at destination with the transportation office. Professional books, papers, and equipment, also known as pro-gear, is defined by the Joint Travel Regulations as items needed for the performance of official duties. The maximum weight authorization for pro gear, regardless of rank, is 2,000 pounds. Spouses may request an additional weight allowance up to 500 pounds if the pro gear is required for employment or community service. Pro gear does not include homeschooling supplies. A spouse’s pro gear request must be submitted to the transportation office for approval before the scheduled pick up. Before a Soldier’s pack and pick-up date, they should separate all their pro gear from HHG, as it must be weighed separately and annotated on the inventory sheets. If a Soldier’s HHG is not picked up or delivered on the agreed upon dates, he/she can file an inconvenience claim with the moving company for out of pocket expense supported by paid receipts. Soldiers can contact their transportation office for additional information. A personally procured move (PPM) — also known as a do-it-yourself, of DITY, move — is not applicable to civilians. Soldiers must obtain PCS orders before they are authorized to conduct a PPM or DITY move. Before conducting a PPM or DITY move, Soldiers must receive counseling and approval from their transportation office. Soldiers will have the option of moving HHG with a POV, rental truck or hiring a commercial moving company, but all methods require full and empty weight tickets. Upon move completion, a Soldier must submit receipts, weight tickets, and contracts. All paperwork must be dated after the published date of their orders, or they will not be reimbursed. Additionally, taxes and insurance are non-reimbursable for equipment rental contracts and receipts. As an incentive, the Soldier receives 95 percent of the maximum amount that the government would pay to have the HHG moved. If it costs less for Soldiers to move personal property themselves, they will keep the difference. This incentive is based on the weight that a Soldier transports, not to exceed their authorized weight allowance. The PPM or DITY estimator tool, found on www.move.mil, under the helpful links section, calculates an estimate of the maximum amount that the government would pay to have a member’s HHG moved. Once any move is complete Soldiers should complete the on-line customer satisfaction survey to rate the moving company. The survey rating results keep the moving companies accountable; it helps everyone in the moving process – the Army, personal property offices, moving companies, and U.S. Transportation Command — improve the process for the Soldier and Civilian. A list of customer satisfaction survey scores for all moving companies are on the Defense Personal Property System customer landing page, accessed via www.move.mil. The Army is fully committed to improving customer satisfaction by sharing proactive tips which empowers Soldiers and their families with information needed to influence a successful PCS moving experience.